I currently work as an Assistant Professor in Psychology at The University of Texas at Arlington where I teach courses in research methods and behavior. Over the years I have flown a variety of raptors and even worked as an assistant in raptor breeding project in Montana. Nowadays one can find me flying peregrine and gyr/peregrine falcons on ducks and upland gamebirds, but I still enjoy a day shooting quail over pointers with a double-barreled shotgun in West Texas. I am pleased to serve THA and the falconry community as President. Please do not hesitate to contact me if you have any questions or are in need of assistance. Growing up gun hunting, I had noticed the falconry regulations in the annual TPW hunting guide, but did not give it much thought. I did not realize that the sport was available for me to actually practice until I attended a NAFA meet in Amarillo in the early 90’s. That introduction was akin to a light switching on in my brain. You all know what I mean. I was hooked. I had gun hunted mostly quail and dove my whole life, but seeing all of those raptors in the weathering yard, and realizing that it was something that I could participate in made my head spin. I can still remember Karen’s first words when I tried to explain what I was about to get into. “You’re going to do what?” “With what?” As a matter fact, I still hear those same questions from her all too often. One of the first falconers that I met at that NAFA gathering was Hal Webster, who immediately befriended me and (after selling me a copy of his book), gave me the short version of the time and commitment it would take for me to become a falconer including a list of steps that would be required to get started. The rest is history. My introduction to falconry was late in the season, so it was the following fall before I was able to round up a sponsor, build my facility, test, and trap my first Red tailed hawk (Hudini). Since that time, I have caught game with most of the more common raptor species. Probably the most memorable of them was my passage tiercel prairie falcon named Harley who spent 10 seasons with me catching ducks and blue quail. Vinney comes in a close second. He was an unruly, hand-me-down Finnish goshawk that made ducks look silly, and caught hundreds of blue quail over the points of my German shorthairs Jax and Bean. I have been a member of the THA and NAFA since that first NAFA meet and have served the THA as Director at Large, Northern Director, and as Apprentice Coordinator. Although I have been a THA member for the past 20 years, I have not been as involved with the club as much as I should over the most recent years. For that I apologize. Falconry and the THA have been good to me, and had it not been for the sacrifices of past officers and member volunteers (you know who you are), we would not be one of the leading falconry clubs in the world. I hope that my involvement as vice president will be beneficial to the club and help me make up for missed opportunities to lend my support. 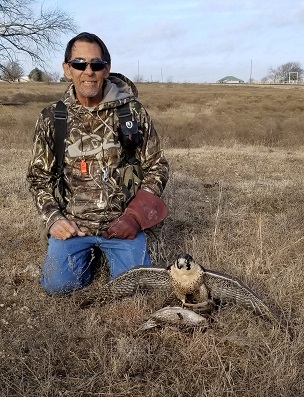 I have made many great friends in the THA, but in recent years have only gotten to see those who wander through my part of the world looking to trap a wintering prairie falcon or on their way to a NAFA meet. That being said, I appreciate the vote of confidence that Scott and the Directors have given me with the offer of the Vice Presidency, and look forward to serving the THA in the future. I know that I have condensed 20 great years into just a few words, so please look me up at the upcoming THA meet so we can fill in the gaps and visit about your thoughts on the future of the THA. My interest in falconry goes back to my childhood, but after finishing graduate school I decided I had the time to devote to the art and became licensed. I have an undergraduate degree in Biological Sciences and a Ph.D in Quantitative Biology. My interests include hunting, fishing, and herping (recreationally searching for reptiles and amphibians). Currently, I am attempting to become a better practicing longwinger, as I love waterfowl hunting in all its forms. I’m happy to serve at the Secretary-Treasurer for the THA. I am also currently a board member of The Falconry Fund, Inc. and the chair of the North American Falconers Association's future meets working group. As your Northern Director, I am glad to once again serve THA and it members. I became a falconer in 1975 as a 15 year old teenager in Missouri. I moved to Texas in 1977 and retook the test here and got my general permit. I am now a master falconer and a member of THA since 1979. Over the years, I have served many positions within the organization. I have flown kestrels, red-tails, Harris's hawks, Cooper's hawks, prairie falcons, peregrine falcons (captive bred and wild trapped), and a gyr/pergrine hybrid. Feel free to contact me with any questions, concerns, or ideas for mini meets and update me on what bird/birds you're flying. I'm here for you, the members. 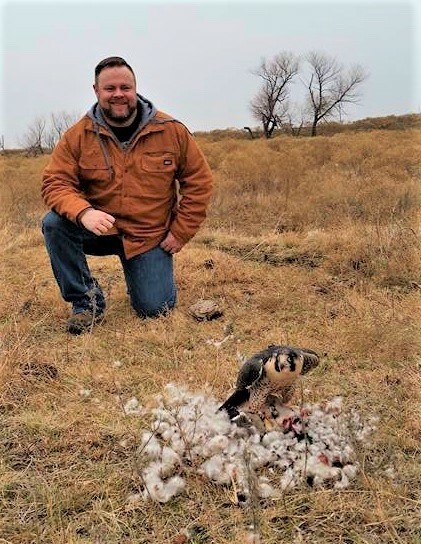 I am also a certified wildlife biologist with a bachelors degree in wildlife management from Texas A&M University and a masters degree in range and wildlife management from Texas A&M-Kingsville. 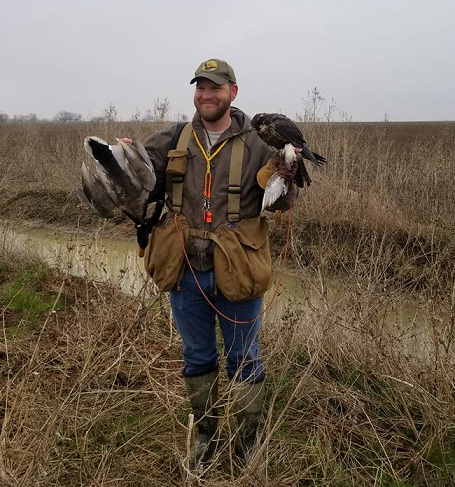 I work as a regulatory wildlife biologist for the Texas Parks and Wildlife Department with primary job duties of working with private landowners and the public on all aspects of wildlife management in South Texas. I look forward to working with everyone within the Texas Hawking Association and hope to do my best for the sport and the club. I began my falconry interest at 6 yrs old. I became licensed in 1985. David Whitton, who was flying an incredible cast of Harris hawks and Jim Ince, who was flying a female peregrine, lived in my neighborhood. David became my sponsor. I spent lots of time learning all I could from these guys and I still do. 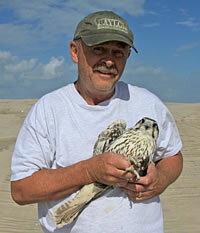 I started with some kestrels and in college at Texas Tech I flew passage merlins and a female peregrine. I graduated in 1995 with a Bachelor's degree in Communications Studies with a Minor in Wildlife Management. 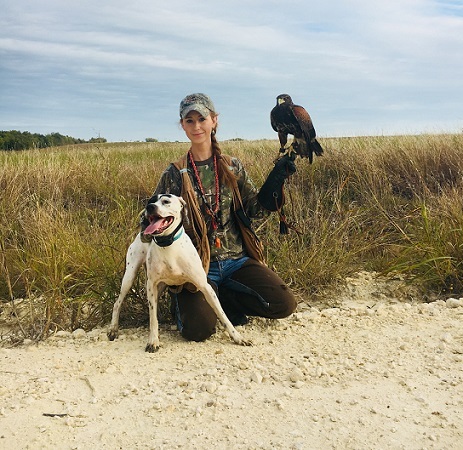 Becoming a falconer just seemed like a natural fit for me; it was a combination of two of my passions, hunting and animal training. I grew up hunting and fishing with my father and grandfather, and I have a background in animal training, having worked as a zookeeper for three large zoological parks. I became a falconer in 2013, and I currently fly a cast of two tiercel Harris's hawks. I have served as rafflemeister for the past few field meets and have enjoyed coordinating this part of the event. If you have a donation for the raffle, please contact me! I have been fascinated with raptors all of my life. My falconry adventure started after I met Jack Brady, who ended up sponsoring me. Since that time I have been blessed with the chance to fly several species. I have flown kestrels, Cooper's hawks, Harris's hawks and red-tailed hawks to name a few. I live near Eastland so if you're ever in the area feel free to swing by and we'll go fly the birds together. If you have any questions at all please do not hesitate to contact me. .
Falconry is different now than ever before. There are relationships that must be maintained if Falconry is to continue. THA should be working in accord with NAFA and the IAF to guard each other’s back and support Falconry critical initiatives not only in Texas but on the national and international level as well. A common theme among the three associations is “bringing new blood into Falconry”. Those of us currently in Falconry had to rely on deeply seated passions to get past the obstacles to becoming licensed and those same passions drive us now to develop new skills with new birds. I believe that the development of Educational resources for Falconry is not only an essential component to bringing in “new blood” but to improving the sport in the future. By offering classes that teach people the true costs, demands and rewards of Falconry (an introductory course) we bring in new people who are committed to the long haul. By following up with other advanced courses on topics like Telemetry, mews design, or trapping techniques we provide forums for exchanging best of practice techniques as well as strengthen relationships. The Apprentice Coordinator (AC) is a key person in meeting and directing inquiries to the right resources. Those resources could be in the form of answers to basic questions, materials on Falconry, potential sponsors, or educational courses. The AC should be working closely with the Outreach Coordinator and the board to coordinate THA’s efforts in “bringing new blood into Falconry”. Watching wild Red-tail Hawks circling overhead in the foot hills of Colorado, with the sun glistening through their fresh summer feathers, captured my interest as a child. I wanted to experience the beauty on a regular basis and made my way to the library to learn how to raise hawks, which is when I found my first falconry book. I read and reread it so many times it fell apart, but I learned the licensing requirements and obtained the state regulations. 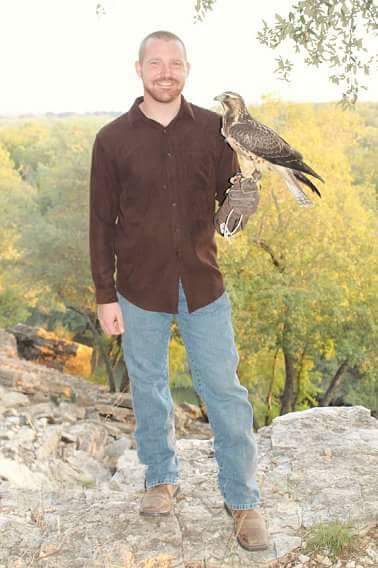 After finding a sponsor and meeting all the requirements, I became a Texas falconer. 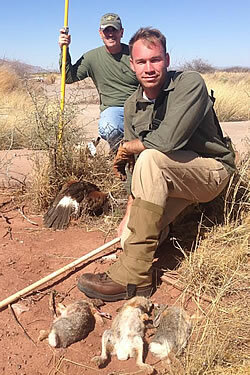 Since 1997 I have been hunting and flying birds in many different environments across the country. 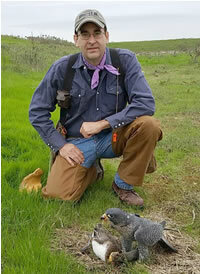 My favorite bird is the American Kestrel, but I enjoy different aspects of hunting with every bird I have flown. I am glad to be part of Texas Hawking Association, and hope to provide a positive experience to outside organizations who are dedicated to educating the public about preserving the art of falconry, supporting hunting, and conservation of raptors. The outreach program is primarily gear towards groups and organizations conducting educational and public events. These events are normally supported by local THA Falconers with their live bird on static display. If you have any request or recommendations, or if you would like to volunteer, feel free to contact me at the email address above. I grew up in North Texas but moved away for a number of years to attend college and to serve in the Army. I was a counter-intelligence agent and Farsi linguist in the Army, and spent a year in Iraq. After my time in the military, I worked in a sales-management role, and also worked on the side as a freelance journalist and editor. I am excited to use that experience to contribute to the organization while serving as editor for On the Wing. I finally came to my senses and moved back to Texas to open an insurance agency with my wife. I am an apprentice falconer, and am grateful to have a knowledgeable sponsor who doesn’t mind me peppering him with questions as I learn. I look forward to facilitate the sharing of knowledge and experience in the association through On the Wing.